We often get asked about special and respected days for when to fly the Union Flag. The short answer is that you can fly your Union Flag all year round without advertising consent (see previous blogs), however there are a number of dates whereby the Government will be flying the Union Flag so they are worth keeping in the diary if you change your Union Flag for other flags. Where a building has two or more flag poles the appropriate national flag may be flown in addition to the Union Flag but not in a superior position. 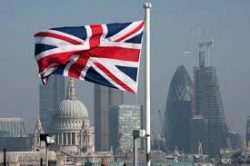 UK government buildings within the wider Whitehall area may fly the national flags alongside the Union Flag on their appropriate Saint days. Flags should be flown at full-mast all day. Flags should be flown on this day even if Her Majesty does not perform the ceremony in person. Flags should only be flown in the Greater London area. The Union Flag only should be flown. Where a building has two or more flag poles, a Commonwealth Flag may be flown in addition to the Union on Commonwealth Day but not in a superior position.